An Exchange with Peter Riley. AT THE INVITATION of the editors of The Fortnightly Review, I would like to offer some friendly comments on Peter Riley’s “Poetry Notes” (“The apophatic poetry of André de Bouchet“) about Openwork, the André du Bouchet anthology—particularly in regard to Paul Auster’s translations of his work, as well as my own. We welcome the opportunity, and we hope that this will be the start of a “translator’s corner” in the pages of The Fortnightly, where practitioners and readers can discuss the ins and outs of translation. But first, I must thank Riley very much for taking the time to compose such an ample gloss to our book. For a different assessment, online readers can handily consult a succinct review by John Taylor in Artsfuse. Taylor, a recognized authority on recent French poetry as well as a distinguished translator (and, like both Riley and me, a contributing editor of The Fortnightly), is eminently qualified to write about Openwork. He expresses an unreservedly positive view. The literary scholar Micah Mattix, in the print publication Books & Culture, frames a similar judgment. More importantly, Riley, Taylor, and Mattix have all joined Auster and me in underlining the seminal originality of André du Bouchet, who has been unjustly neglected in the English-speaking world. They have also helped us demonstrate that du Bouchet’s polyvalent poetry and prose indeed form an “openwork,” cohesive yet porous, which lends itself to a wide variety of interpretations. Given that Riley draws on my introduction for many of his general remarks about the author, I naturally concur with much of what he says; I also admire the spirit of his new observations, which often seem to reflect the no-nonsense attitude of a true “Anglo-Saxon.” But admittedly, there are several major facets of du Bouchet’s work on which we diverge, and I will turn to those at the end of this essay. My translations from Dans la Chaleur vacante were made in 1967, when I was a 20-year-old student at Columbia University. After moving to Paris in early 1971, I met André du Bouchet and translated a number of poems from his next major collection Où le soliel. A strong friendship and trust developed between us, and because of André’s perfect mastery of English, we went over every word and line in every poem together. I’m not saying that all the English versions are literally “correct,” but they represent how du Bouchet felt his poems should read in English. 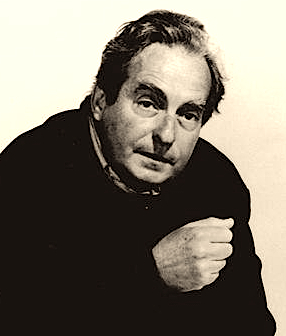 As to my translations, du Bouchet endorsed many of them from 1970 onward; as described in my introduction, and as reported by Riley, the only time he altered one of them radically was when he advocated a greater, rather than lesser, degree of “poetic license” in order to bring out a latent subtlety of meaning. In rendering some additional pieces for Openwork after his death in 2001, I adhered as closely as I could to his own methods of translation, as Riley concedes at the end of his “notes.” I also conferred extensively with Auster, who knew our friend’s approach inside-out; and so I feel confident that I have translated these selections too as du Bouchet would have wanted. It was my unqualified admiration for Auster’s English versions of du Bouchet that led me to reprint them in Openwork. In my opinion he accurately and vigorously communicates the power of the originals—a view obviously shared by du Bouchet himself. I wouldn’t presume to reconstruct how he and Auster arrived at this choice of words or the other, but I must disavow Riley’s blanket criticism of Auster’s translations as “cavalier,” especially since they were written in such close collaboration with the poet, who knew our language so well. At the time he worked on them with Auster, du Bouchet was already a noted translator of English and American authors, as well as a graduate of Amherst and Harvard who had spent eight years of uninterrupted residence in the US; he had become so fluent in English that he even taught at Harvard in the latter part of his sojourn. Among his other complaints, Riley faults Auster for a nonchalant attitude toward the definite and indefinite articles in French; yet even a rudimentary rendering of “la nature” or “l’art” forces the translator to leave out the article altogether. Auster has translated many books from the French, by authors ranging from Joubert to Mallarmé. Riley has translated but one, as far as I know; yet surely that experience showed him how the articles in a text often change as they migrate from one language to another, especially in the highly charged field of poetry. THOUGH I WOULD certainly make no claims for the quality of my own translations as compared with Auster’s, I can speak with certitude about my motives for adopting various solutions, and I will now address Riley’s “caveats” in my regard case by case. I doubt that many readers of the Fortnightly will find such minutiae of any interest, and that is why they would not ordinarily clutter a book review. However, Riley’s rubric “Poetry Notes” allows him a large degree of amiable meandering, and I am more than happy to accompany him down that gently winding path. Since he has held the following details up for microscopic scrutiny, I trust that fellow-translators, at least, may find our deliberations mildly engaging. Meanings and hence lexicons vary, and that is the whole point: there is no set equivalent for any word, written in stone once and for all, and this is especially true in the medium of poetry. The first poem Riley parses is “Term,” and he sets the French title “Vocable” in brackets alongside the English equivalent. The standard French-English dictionary definition of “vocable” is “term,” and so I am puzzled as to why he questioned that conventional helpmeet here. Though “vocable” exists in English, of course, it is less common than in French, and so “term” seemed the better alternative. In addition, the word suggests the “terms” of an exchange, just as “vocable” might be taken to echo the “calling in” of a debt. As Riley rightly asserts, language as a form of coinage is the overriding metaphor of the poem. But “currency” is in my view a more accurate translation of “monnaie” than Riley’s more prosaic “money,” which would normally correspond to the French “argent”; moreover, “currency” conveys the idea of flow between one medium and another. The word “redeem” is often used in financial transactions for bonds, certificates, and the like; here man is “given back,” or “redeemed” in the currency of words. Riley objects to the sacral overtones of the verb, but there is a numinous quality to du Bouchet’s work which can escape the reader unless he has assimilated large swaths of it; this is a discreet way of suggesting that backdrop from the outset. Du Bouchet sometimes hints at “an air of Catholic spirituality,” as Riley rightly calls it—though as he emphasizes, it is decidedly “apophatic,” reflective of a negative theology without any immanent God. Comparably, du Bouchet speaks of blank pages as “surplices” in another poem from this period; I will come back to this topic further on. As to the verb “barter,” it maintains the idea of values interchanged, and brings us back down to earth. Riley asserts that here the verb “monnayer” has to mean “to coin”; but in fact the main definition in my dictionary is “to trade,” so I would say that “to barter” is more accurate than “to coin.” But meanings and hence lexicons vary, and that is the whole point: there is no set equivalent for any word, written in stone once and for all, and this is especially true in the medium of poetry. Throughout this text, I strove to achieve a natural English rhythm, as every conscientious translator must do; the hope is to compose a version that sounds like a poem written in our own language, while reproducing the meaning of the original. Inevitably, this also causes minute verbal shifts, because no language can be seamlessly transformed into another; yet I don’t think I ever skewed the fundamentals of the poem. For all these reasons, I doubt that it adds anything to Riley’s analysis of du Bouchet’s lines to splice words from the French into the English, or second-guess the translation, often with dubious justification. To me this tic only seems distracting, and makes the contours of the work itself harder to grasp. Riley’s exegesis of these verses is so cogent I honestly wish he’d replaced my translation with one of his own, instead of presenting the poem in a choppy, hybridized form. After all, the center of attention here should be du Bouchet, not the marginalia of translation. Apart from our disagreement over the connotations of the noun “monnaie” and the main meaning of the verb “monnayer,” Riley’s translation would have been passable; it seems to me that the differences between our renderings are in fact quite negligible, and so perhaps his quibbles boil down to much ado about nothing. Unfortunately, he seems to have been bent on trying to score a few minor points about word-choice, to the detriment of his excellent analysis of the poetry itself. IN HIS LATER extended quotations from my versions of “Painting” and “Flash of Light,” he blends in almost no words from the French, so I can only suppose these renderings met with his approval. The only exception comes with the term “scumble” toward the end of “Flash of Light.” This word arose from one of my conversations with Auster, in which we pored over each other’s work for many hours. Regrettably, since I had to translate this poem after du Bouchet’s death, I no longer had the benefit of the author’s suggestions. I had earlier written “heap” for “amas,” as Riley prefers, but then my quid pro quo with Auster yielded “scumble.” I like the word here because it evokes the landscape as almost piled on top of the light, through which the flash glints as through a glaze. I suspect that’s what du Bouchet was after by using the word “inhumer” (“bury, inter, inhume”) immediately afterwards, and this seemed like an economical—and in the context of his work, typically painterly—reconstitution of his metaphor. Further on, when Riley speaks of Auster’s penchant for free translation—according to him, more pronounced than mine, though I would beg to differ—he gives the false impression that Auster was guilty of giving “l’ongle incarné” an extravagant twist, translating it as “the incarnate toe.” In an amicable email to Riley, I pointed out this and other cases where he had confused the two translators, though the tripartite structure of the book should have made these errors easy to avoid; accordingly, he has corrected most of them in the latest version of his “notes.” In this instance, at any rate, I am fully responsible for the transposition of the phrase, which normally signifies an “ingrown toenail.” No doubt this is my most egregious sin of “creative translation,” as Riley would have it, in the pages of Openwork. However, I would argue that since we don’t have the same play on words in English, we have to bring out the underlying sense, since this is far more important here than the superficial definition. In the context of “…Byzance”—“…Byzantium,” the opening word of the poem, made “pregnant” by the ellipsis—the metaphorical overtone wins out over the literal semantic tag. Naturally, I was sorry to lose some of the humor, though this reemerges when the toe is “stubbed”—ostensibly while walking around a Byzantine ruin in Crete, the island invoked by the title of the poem. As du Bouchet recounted to me long ago, he closely assisted Georges Duthuit in the composition of Le Feu des signes, a book centered on the aesthetics of the sacred in Byzantine art. So when du Bouchet starts off a poem with “…Byzance,” we can be sure that there will be some hint of “sages standing in God’s holy fire,” “apophatic” though the verses may be. I should probably have touched on all this in my introduction to Openwork, but I had already exceeded the usual compass allowed for such prefaces. In the end, Auster and I have simply followed the principles of translation currently pursued by most practitioners; and so, by Riley’s account, we have joined the ranks of the dreaded “Modernists,” to whom he attributes no end of mischief. I would argue that in the end, Auster and I have simply followed the principles of translation currently pursued by most practitioners; and so, by Riley’s account, we have joined the ranks of the dreaded “Modernists,” to whom he attributes no end of mischief. Du Bouchet was firmly opposed to word-by-word transliterations, and he encouraged both of us to follow suit; but that doesn’t mean we went as far as he might have wanted. Even though in fact this debate goes back at least as far as the quarrel over “laides fidèles” versus “belles infidèles,” a controversy in eighteenth-century France, Riley attributes the anomaly of what he calls “creative translation” to the doctrines of “Modernism,” a movement he seems to find pernicious on the whole. It’s easy to see where Ezra Pound’s loose transpositions from other languages fit into this narrative, and I certainly agree with Riley that varied tacks have been taken in this regard by different writers. When I collaborated with nine other translators on the Viking-Penguin Selected Poems of Borges, I became abundantly aware that styles of translation could range from that of W. S. Merwin, who virtually recast the poems in his own distinctive idiom, to my own fairly dogged imitation of the originals. In practical terms, I know Riley concurs with me that most translators simply have to confront the task before them, and no amount of theorizing is going to justify the small, successive decisions involved in transferring a poem from one language to another. Necessarily, the process also includes a measure of leeway; as David Bellos has pointed out in his straightforward essay, “The Myth of Literal Translation,” word-for-word translation is simply impossible, if only because a phrase like “a stitch in time saves nine” doesn’t compute in any language other than English. Here we are merely speaking of the basics of workaday translation; of course, reconstituting an allusive, complex poem in another language is infinitely more problematic. A poetry translation cannot be a basic lesson on French grammar, vocabulary, and syntax. As Riley says himself in his Fortnightly “notes” (q. v.) on several of John Taylor’s finely wrought translations: “His approach is to seek the valid English text, the paragraph, poem, or line, which can stand in its own right as a satisfying thing. This will make him sometimes prefer the secondary meaning to the primary and bring him in some details close to paraphrase, but as a way of representing the full semantic load, the poetry before the text. This is excellent for an independent reading of the English, but I was sometimes glad that the parallel French text was there to show exactly what was happening in details which interested me.” That is a reasonable view: a poetry translation cannot be a basic lesson on French grammar, vocabulary, and syntax. I should point out that though Taylor is certainly a past master of the art of translation, in his essay on Openwork mentioned above he does not seem to have had any difficulty in accepting the accuracy of our translations. Apparently, unlike Riley, Taylor considers that they offer a suitable rendition of what du Bouchet says in his poetry. AS I NOTED earlier, a frequent difficulty that crops up in translation is that slight semantic shifts occur simply because an English rhythm has to be maintained, in order for the work to sound like a natural poem in the target language, just it does in the source language. The classic fallback meter in English is a loose form of iambic pentameter, with a pronounced stress at the end of the line. A word-for-word translation often breaks that subtle rhythm; the result may sound wooden, even incomprehensible, and that does no justice to the original. I translate from the French, German, Spanish, and Italian, and like Riley, I am always glad to have the original on the facing pages. A bilingual edition opens the door for point-by-point criticism of the translation, of course; but once petty vanity is set aside, translators should sincerely want to inspire readers to pursue the poet’s text on their own, by thoroughly learning the language in which it was written. Of course, any casual reader armed with a dictionary often believes he or she could have done better; and on many occasions, he or she may well be right. Practicing poets and translators habitually second-guess each other even more, as a kind of “professional deformation.” In reference to one of my earlier books of translations, Charles Simic taxed me for “staying too close” to the originals, in an amusing contrast to Riley’s remarks—though most readers seem to understand that I am trying to follow a middle path, like the majority of my colleagues present and past, including Michael Hamburger, who is explicit about seeking the middle way. It is a natural characteristic of English to be more concrete, more “palpable” than French; our language specializes in differentiation, and accordingly, it has developed a much larger vocabulary than any other Western tongue. Another fault Riley finds with Auster’s and my translations is what he calls a tendency to “enrich” the original. Certainly it is a natural characteristic of English to be more concrete, more “palpable” than French; our language specializes in differentiation, and accordingly, it has developed a much larger vocabulary than any other Western tongue. When translators try to imitate the abstraction of French in English, what comes out may cease to sound like English at all; as a counter-measure, they will sometimes apply a “scumble” of added texture, whether consciously or not. To understand this phenomenon, we need only compare Shakespeare with Racine—and note that the renowned poet and translator, Yves Bonnefoy, moving in the opposite direction, once translated Shakespeare’s “jelly” as “cendre,” because he considered that the dictionary equivalent, “gelée,” sounded ignoble in French, even ridiculous. On the other hand, sometimes a poem slips perfectly from one language into another, with little or no adjustment. In certain rare instances, a line may turn out even better in the target language than in the original. For example, Yeats ends his magnificent poem “Her Vision in the Wood” with the following verse: “But my heart’s victim, and its torturer.” When Bonnefoy translated the line, he rendered it beautifully as “Mais la victime de mon coeur, et son bourreau.” The two strong stresses of “coeur” and “bourreau” enhance the impact of the verse, and this happens not only because of the translator’s expertise, but also because of the fortuitous traits of these two terms in French. I’ve written about similar matters in my essay “Yves Bonnefoy and the Art of Translation,” at the end of my version of the author’s poetry collection, The Curved Planks (Farrar Straus). As with André du Bouchet in the past, with Bonnefoy I continue to have regular dialogues on translation, the fruit of our work on the anthology Second Simplicity (Yale UP), the prose poetry collection The Digamma (Seagull Books), and our new project for Seagull, the extended essay Rome 1630. Online readers can handily retrieve one of our exchanges on translation by going to the site of the Margellos Series at the Yale University Press, here. I have to disagree with Riley that such poets as du Bouchet, Bonnefoy, and Auster (in his earlier career) translate poetry from one language to another with a free hand merely because they cannot stop making poetry even when they translate. It’s just that they are convinced the poet should not sound duller in the target language than he does in the original. And in English, by virtue of the language itself, this often implies a greater richness of vocabulary than in French. In this connection, Riley’s reminder about Beckett is very à-propos: “Beckett chose to write in French because it was more cut and dried than English.” As I’ve said, one must also highlight at times what one believes to be the predominant sense of a word rather than simply giving the flat equivalent, when the ambivalence of the original isn’t possible (in the same terms at least). I wouldn’t go as far as Pablo Neruda, however, who told his celebrated translator, Alastair Reid: “Don’t just translate me, improve me!” There has to be a juste milieu, but if people know enough French, Spanish, or whatever the language may be, they can have the double pleasure of reading the original and seeing what the translator did to try to render it. They may well have better ideas: there’s no such thing as a perfect translation. If readers have little or no French, then we owe them—not a word by word translation like those old interlinear texts we used to crib with in Greek class—but the best poem the translator is capable of making while staying true to the basic meaning, and above all the spirit, of the original. To paraphrase the parting shot of Riley’s review, when I am reading a translation of poetry from a language I don’t know, I’d rather be overpaid than shortchanged. I want to know what the poem says; but to some degree, I also want to know what it connotes, what it evokes, and how it would sound if the poet had written it in English. In poetry, some things are lost in translation; but as with Bonnefoy’s version of Yeats, quoted earlier, other things are gained. In any case, there is far more to poetry than a simple string of words. An accomplished poet, Riley knows all this, of course; and I suspect that at times in his “notes” he is mischievously playing the devil’s advocate. Here I must affirm that I do believe poetry can be translated, with greater or lesser felicity; if I didn’t, I wouldn’t spend so much time attempting to do so. Since Riley thinks the translation of poetry is “virtually impossible,” it’s easy to understand why he tends to find the results disappointing: this may simply be a self-fulfilling prophecy. QUITE APART FROM the translation question, I said at the outset that I would address some of my discrepancies with Riley as to his general remarks on du Bouchet’s work. Riley explains that all “Modernists” give “primacy to the word,” but I imagine that this definition would cover all writers worth their salt, past and present. To begin with, I must say that while I find his plentiful allusions to “Modernism” intriguing, I’m not sure I could subscribe to a definition so broad that it would lump du Bouchet together with Dylan Thomas. It seems to me that this dilutes the concept unduly, whatever it is taken to encompass. Riley explains that all “Modernists” give “primacy to the word,” but I imagine that this definition would cover all writers worth their salt, past and present. Perhaps I’m old-fashioned, but I tend to avoid talk of “-isms,” unless poets specifically declare their allegiance to a movement. I prefer more neutral categories, on the order of “French literature” or “twentieth-century poetry.” Nor do I believe, as Riley alleges, that du Bouchet ever imagined he was devising a visual artwork through the spacing of his lines on the page; perhaps I should have stated more clearly my conviction that while the poet may have considered himself engaged in an analogous process, he never deluded himself that he was creating a sketch or collage. RILEY CLAIMS THAT the “Modernists” are obsessed with “chthonic fantasies of mystical inspiration, dark etymological zones which underlie languages,” and that this somehow reveals the “elitisim” of those reprehensible poets and translators. But here he himself seems to suggest that for all people, silence is the ineluctable background of speech, and that it is fraught with significance. I would submit that we cannot dismiss du Bouchet’s blanks as lacking a semantic charge, nor can we compress his lines beyond recognition—a tempting but facile solution Auster and I studiously avoided in our anthology, adding to the woes of our heroic printers at the Yale University Press.1 The poet’s extensive blanks consistently suggest a much larger sphere outside the lines of his poetry, against which they must be understood. Similarly, the absence of a person can mean as much to us as his or her presence; the same pertains to things and qualities; and in my opinion, the same also applies to the content of literature. Pursuing this train of thought, I imagine most of us would agree that death is the obverse of life, without which the present would lose a great deal of its depth and intensity; yet there is nothing morbid in this constant play of the negative and the positive, of darkness and light. While Riley emphasizes the “Gallic” hopelessness of my vision of du Bouchet, in fact I frequently refer in my introduction to his pleasure in roaming through the countryside or contemplating works of art; and in the last paragraph of my essay, I stress his overarching joy in no uncertain terms. Once we drop our prejudices, I believe we “Anglo-Saxons” can read this great French poet’s work with satisfaction and gusto, and without indulging in “Continental” gloom. His poetry has at least as much to do with presence as with absence; it may reflect in part the “primacy of the word,” as Riley would have it, but the poet also stands in awe of the beauty of art and the sheer splendor of nature. As Micah Mattix states in his review with heightening italics, du Bouchet is consistently “overwhelmed by the earth’s grandeur.” All these elements—and many more—make up the poetic vision of André du Bouchet, and we have attempted to present that vision as faithfully as we could in Openwork. Once again, we must thank Peter Riley very much for helping us acquaint the English-speaking public with this author’s unique and ground-breaking achievement. Hoyt Rogers, a contributing editor of The Fortnightly Review, is the author of a collection of poetry, Witnesses, and a volume of criticism, The Poetics of Inconstancy. His poems, stories, and essays have appeared in many periodicals. He translates from the French, German, Italian, and Spanish. His translations include the Selected Poems of Borges and three books by Yves Bonnefoy, The Curved Planks, Second Simplicity, and The Digamma. Openwork, an André du Bouchet reader, was recently published by Yale and reviewed here by Peter Riley. He lives in the Dominican Republic and Italy. 5 February 2016: This article has been edited after publication to correct an error. This Fortnightly Review article is filed under the following rubrics: Notes & Comment, Portfolio: André du Bouchet, Translations. Publication: Monday, 29 June 2015, at 09:19.